Since opening in 2001 Fieste has been serving European cuisine with a family touch 364 days a year. We believe in the hands on approach; so much so that you can find owner Roberto Giuseppe Hernandez spinning dough in the kitchen or front of house every day of the week. Not only is there a wide ranging menu and friendly staff but both locations also have private function spaces available to book. Fieste has something for everyone. If you are looking for simple comfort food our gnocchi with napoli sauce is hard to beat, but if you want to crank it up a notch then try our Rib Eye steak with a selection of seasonal sauces like mojo (home made dressing from the Canary Islands). That said, ultimately Pizza's are the heart of what we do and we use a recipe passed down from our Italian ancestors to ensure that you get the perfect crispy base. 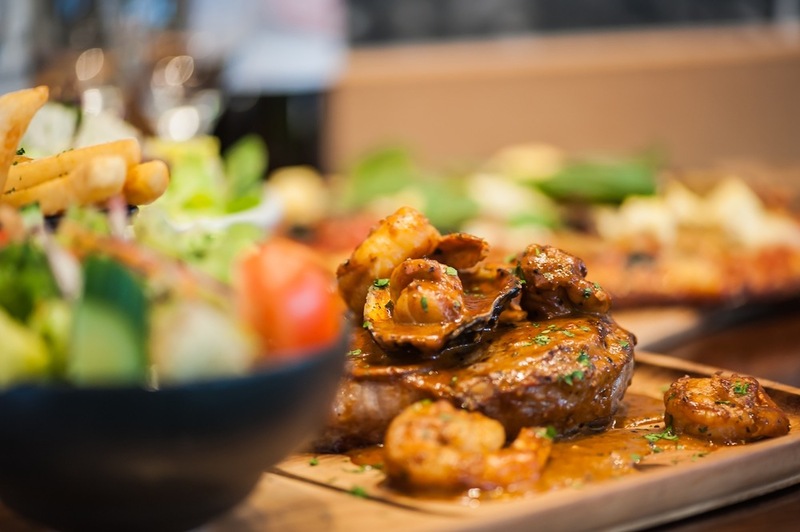 We cover all the classics but also have a Gourmet menu for the more adventurous: think nutella, frangelico and banana or scallops, king prawns and mussels. All pasta and pizza dough is made onsite so not only is it fresh and delicious but we also have gluten free options for both. Have little ones in towe? Not to worry, there is special kids meals - just ask your waiter. * All main meals are served with Salad only. Intense plum and spice characters. Rounded fresh fruit flavours. The vanilla undertones coupled with the ripe tannins give this wine depth and length of flavour. Plump dark fruits, gentle tannins, cedar and oak with a soft finish. Flavours of cherry, red fruits and background spice. Soft and supple. The palate is soft with a creamy texture and is balanced by fine acidity to give a clean and very refreshing finish. Frizzante style wine, with flavours of fresh grapes with just a squeeze of lemon on the finish. A vibrant yet delicate palate balanced with good acidity. Intense gooseberry and grassy flavours with tropical notes also evident. A very refreshing, easy drinking sparkling wine displaying fresh, fruit flavours and a creamy palate with a crisp clean finish. Fieste offers four versatile function spaces across our two venues; perfect for birthday celebrations, training seminars, product launches, conferences, small weddings and other special occasions. Fieste is the perfect location for a private function. We have a variety of packages available. For more information please fill in the form below and we will get back to you as soon as possible. Want to enjoy Fieste food from the comfort of your own home? Not only do we offer take away but we also provide food for offsite catering. For more information please call 03 9330 1833 (Tullamarine), 03 8339 7346 (Craigieburn).